Congratulations to St. Andrews Academy who has achieved the Scottish Schools’ Quality Award Gold Level. St Andrew’s are the first school in Renfrewshire to receive the award in recognition of the pupils, staff and parents support providing pupils with opportunities to play at football at school, local,regional and national level. It also shows the schools ongoing commitment to supporting the SSFA’s values and staffs willingness to undertake cpd. 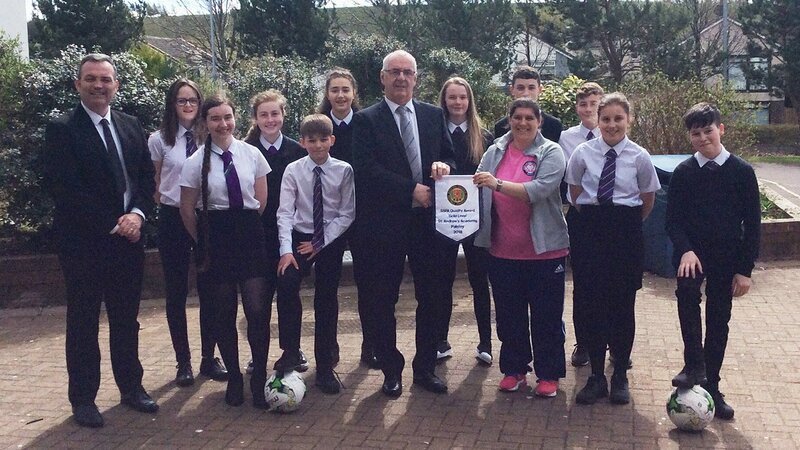 Hearty Lives and Community Involvement Project Leader and a selection of our players from S1-6.